Yet this month Barclays announced that it would support Apple Pay after all. This raises the question: why didn’t Barclays come right out and support the service? The answer is one that is largely related to Brand. Barclays views itself as one of the most innovative retail banks in the UK, having been the first bank to introduce the ATM in 1967 and one of the first to experiment with mobile payments when it introduced Pingit in February 2012. From the customer perspective, Apple Pay very much belongs to Apple. They don’t consider the fact that it is still Barclays or Barclaycard processing the payment, they just know that they are using their iPhone to conduct the transaction. Apple Pay effectively means that the customer is one step further removed from their bank. In a business where customers only consider loyalty in terms of longevity and not brand association, the impact of this can be significant. Consequently Barclays has focused on promoting its own Barclays-branded mobile payment solutions. In February 2015, Barclays became the first British Bank to introduce Twitter payments through Pingit. 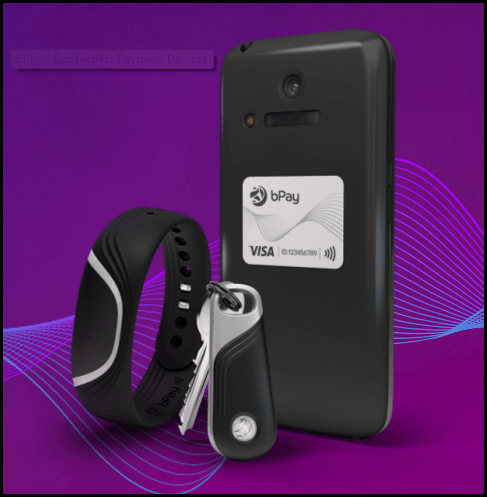 In the summer of the same year it launched its new range of NFC-enabled bPay accessories: a wrist-strap, key fob and sticker that can be attached to any device, clothing item or accessory that the customer wishes to make contactless payments with. The range was further extended through a partnership with Topshop in November 2015. A collection of wristbands, smartphone cases, stickers and keychains embedded with a bPay contactless chip was released to bring contactless payments to the younger generation. Finally, in January 2016 Barclaycard updated its Android app to bring ‘Apple Pay’ style payments to its Android-using customers. Yet, after Barclays went to all this trouble to maintain its position as a market-leading provider of mobile payments without needing to lean on Apple Pay, it finally introduced the service for Barclays debit and Barclaycard credit card customers in early April 2016. Which leaves us wondering why? With pressure to compete for customer retention mounting on the UK big six from the Competition Markets Authority and from fintech disrupters, Barclays cannot afford to risk customers being pushed into the arms of another provider simply because they do not provide a service that its customers are demanding. The second reason for Barclays finally taking the Apple Pay leap is more complex. Whilst there has been much talk about the competitive threat that incumbent banks are facing around the world from disintermediation caused by niche digital disruption, there has been less discussion of the challenge posed by digital giants entering the payments space. Providers such as Amazon, which announced at the Payments 2020 conference last week that it is looking to acquire fintech payments providers, is investing increasing amounts of resources in the payments space. This poses a significant threat to traditional providers, such as Barclays, because these digital-first companies have a far greater understanding of how to provide all-inclusive services within a consistent ecosystem. For customers driven by convenience this is very appealing. Apple Pay provides a fully digital payment solution in a number of scenarios, meaning that now Barclays is able to provide customers with a digital payments ecosystem that can, to a certain extent, compete with the all-inclusive digital services that the likes of Amazon and Facebook are developing. In addition, with it becoming increasingly likely that open APIs will be used as a means of facilitating collaboration between fintechs and incumbents, offering an opportunity to build upon existing services on both Android and iOS means that Barclays can encourage a wider range of partnerships than it would be able to otherwise. This will allow it to compete more effectively and maintain its reputation as a forward-thinking retail bank. Finally, there is an element of peer-pressure. In the past, collaboration between the banking behemoths has been rare. However, in the face of digital disruption, it is clear that the mantra of safety in numbers is taking on more meaning for the giants of old, and the formation of coalitions is becoming far more common. For example, R3 is a consortium of 43 banks that have come together to invest in Blockchain technology and ensure that they are not left behind. If Barclays was to distance itself too much from its compatriots, such collaboration would become difficult – which might put it in a weaker position in the intermediate future. Overall, it’s clear that the introduction of Apple Pay by Barclays and Barclaycard is a positive in the eyes of its consumers but that the decision has come as a result of wider market forces. Fintech providers are forcing traditional banks to pay more attention to their customer demands, or the likes of Fidor will make them look foolish because, whilst the big banks might be ‘too big to fail’, they are not too big to be outcompeted. 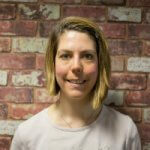 Barclaycard is one of the 16 UK providers that Mapa monitors, on a quarterly basis, in our Credit Card Dashboard. If you would like to learn more about out competitor monitoring services, contact us today.